From 23 to 26 May citizens across the EU will vote for the Members of the European Parliament (MEP) that they want to be represented by for the next five years. The most effective strategies for rare diseases are cross-border and EU-wide. Europe enables the rare disease community to create the critical mass of patients, experts, knowledge, guidelines and resources needed by coordinating and adding value to national efforts. Rare diseases are an area with high European added value, where coordinated EU action has brought tangible results. Thanks to the European rare disease community, spearheaded by patients, great progress had been made to improve the lives of people living with a rare disease in the EU in recent decades. 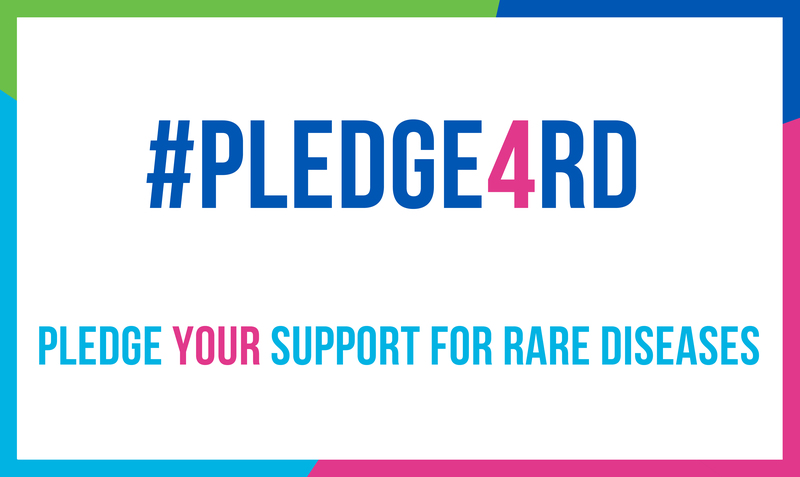 To ensure that the 25 - 30 million people living with a rare disease in Europe and their families are not left behind and can achieve their highest potential of health and well-being, EURORDIS and the rare disease community is calling on MEPs to #Pledge4RD. Why should your MEP care? Because rare is common. Many people are affected by a rare disease or know someone who is. How can they #Pledge4RD? By downloading the #Pledge4RD sign and posting their photo on social media using #Pledge4RD #EUelections2019 and tagging @eurordis. This evening at the European Parliament EURORDIS is meeting with European Parliamentary representatives to encourage them to #Pledge4RD.